Compressed Gas Technologies Inc. has completed a large flow, high purity nitrogen generator project with KBR, Inc of Houston, TX. 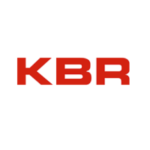 KBR is one of the largest EPC (engineering; procurement; construction) companies in the world. CGT first started working with KBR during the design stage of the project which concluded with the delivery, start-up, and training of the equipment. KBR’s engineer stated CGT was their favorite supplier on this project and look forward to working with us on future projects.